This easy-to-use writing curriculum gets kids writing about subjects that interest them most. Write On is the gentle homeschool writing curriculum that develops writing skills AND motivates students to write. 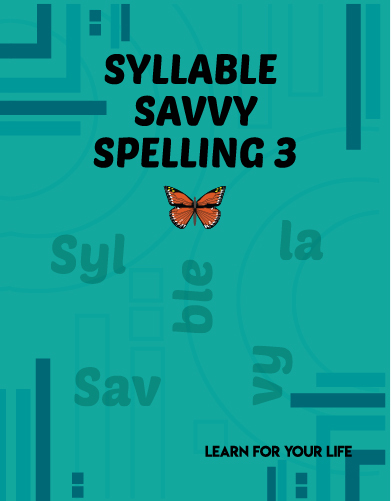 It sparks the student's interest by offering a wide variety of writing activities which capture their imagination. Short, simple assignments decrease student's reluctance to write while increasing their confidence by focusing on one specific written skill. 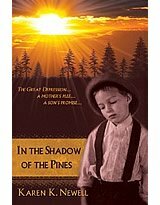 Young writers become eager to share their creations that express their own ideas. Your students will ENJOY writing. And you will enjoy WATCHING their success. "You don't know my child," you may be thinking. Actually, most parents do wonder how their child's writing will ever advance to a college level. Write On has three secrets to success. Month by month, you will see their writing skills progress. Non-consumable. Shipped to your home. In a hurry? Order the e-book download and print today. Confidence Building - The four levels of writing cause even the most reluctant students to blossom. Structured - From Write On #1 to Write On #100, the student can systematically progress through the book over several years. 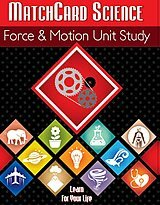 Flexible - Developed specifically for students in unit studies, Write On maximizes flexibility for students and families. Some families start at the beginning and progress through the program. Other families use it as a cook book of interesting and inspiring activities to publish their unit study research. Sample Writing - This is at the middle of each page, and it is what catches the students' attention first. There is an example of the lesson written by another student. This sparks their interest. It also produces the "I can do that" response which is critical for motiviating the student. Objective Box - This is at the top. It tells the parent and student what the objective of this assignment is. It also indicates if this assignment will be used in a future lesson to expand upon the skills taught. Instruction Box - To the left side of each page there is an instruction box for the parent. This lists the steps needed to complete the lesson, and any additional information needed. Idea Clouds - Additional and creative ways to use the lesson are often posted on idea clouds at the very bottom of the page. Many families use Write On as a cookbook. They pick and choose any of the 100 Write On's to assign for the week. Others use it as a systematic writing curriculum, starting at the front, and progressing through to the end. This overview will describe how to use it in a systematic fashion. Every fifth Write On (lessons divisible by "5") are academic. 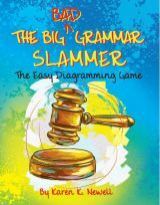 They reinforce paragraph development and essay construction, and each one deepens those skills. For variety and interest, we do not have the student repeat the same Write On over and over. Instead, between each repetition of the academic Write On, they will do one of the creative Write On's. This set of assignments would usually take about 4 to 8 weeks. Of course, as parents working with any curriculum realize, we need to teach the student, not the book. You may deviate slightly (or considerably) from this basic pattern. Some students benefit from repeating the creative exercises. Many of these creative exercises are beneficial for writing reports about topics they are studying in other subjects. Obviously, there is nothing magic about the number four. Some strong writers may achieve this level after one or two times. Others may need longer. The curriculum provides the flexibility to meet the needs of each developing writer. Level One - Beginning: Read the assignment together, discuss it, choose the topic he or she will write about. Let the student dictate their report to you which can be written by hand or keyboard. Level Two - Intermediate: Read, discuss, chose. The student tells you their ideas, and you write the outline. They then write their report, with some assistance if needed. Level Three - Advanced: Read, discuss, chose. You may write down a few key words, including those that are difficult to spell, on an index card. They write their report with minimal or no assitance. Level Four - Mastery: The student writes independently. 138 page bound book is sent to your home. We recommend printing on hole-punched paper for your convenience. How Much Do We Do In One Year? In the example above, the student did five different Write On's (20, 21, 22, 23, 24). If your student does 20 consecutive assignments (ie. four sets of five lessons, with four academic lessons) you will notice a significant improvement in his or her writing ability. Where in the book do I start an older student? 2. Determine which of the academic lessons best represents your student's writing ability. 3. Go back to the academic lesson just preceding the one determined in step 2 above. How much does it cost per year? Divide $19.95 by six years - less than $3.50 a year! And that is for ONE child. TWO children - less than $2 a year, etc. In a hurry? You can print it from your computer now. Want to see some of the lessons? Our current homeschool writing contest uses one of the Write On lessons. This lesson can be downloaded for your to try yourself. You may also view the lessons and student writing from earlier contests in the Let's See It Work section. Can I Use It With More Than One Student At Once? Yes, Write On was specifically written for use with the unit study approach. It can be used at multiple levels with several students, whether you are using unit studies or a traditional approach. Some families have all students using the same writing lesson. However, they all write about different topics, according to their interests and other areas of study. Some families who use unit studies may have all students writing about the same topic. For istance, if the unit study is on Japan, all students would write about Japan, but use a different Write On. This makes a great unit study booklet or family newspaper. No two families will do the same thing. 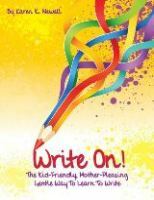 Write On provides structure, evaluation, creativity, and flexibility. You can confidently use the lessons as you watch the writing level of all your students progress. The instructors guide is included for no additional charge. It leads you step by step how to teach your students to write. There are no additional costs to you. How can we be confident enough to offer a money-back guarantee? It's not that this book in and of itself guarantees great writing. But it uses a highly successful technique used by every great writing instructor. Why Write On is successful? Find out here. 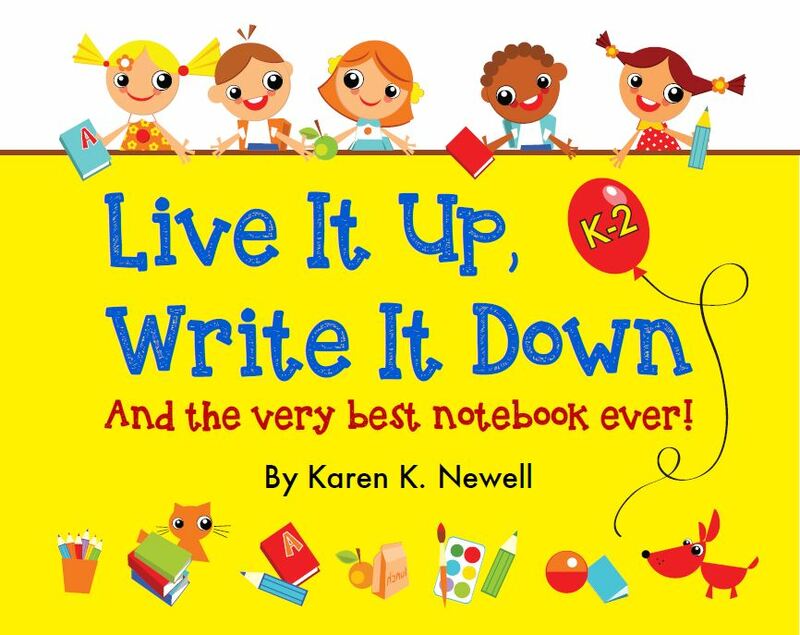 Younger students will love Live it Up, Write It Down. 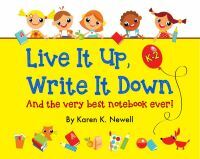 The multiple, hands-on activities will get them excited to try new things and tell write about their experiences. Get your primary students off to a great start in writing.